The playoffs in Major League Baseball have a tendency to be a cruel and fickle beast. You can blast through the regular season, crushing all opponents in your path and come October, all it takes is facing one team at the wrong time and it’s all over in a mere handful of games. The 2014 postseason has been no exception, with many of the projected favorites and higher seeds headed home and back to the drawing board earlier than expected. This year’s Angels team is the best representative of that cruelty. They not only won more games than any other team in baseball, but they did so with a run differential that surpassed every team in the league outside of Oakland. And after 3 games against a feisty Kansas City squad it was all over, sending the Angles and their management back to square one. So, what does Los Angeles need to do rebound in 2015 to make a deep playoff run? First, the bad news. 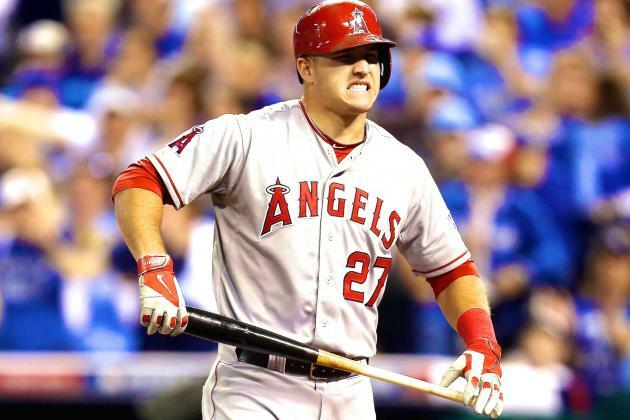 The Los Angeles Angels will head into the 2015 season with so much money committed to a handful of players, the their maneuverability this winter will be severely limited. Owner Arte Moreno appears to be unwilling to cross the $189 million dollar luxury tax threshold, which could become an issue when $90.5 million is committed to just 5 players. The good news is that Los Angeles doesn’t have a whole lot of work to do after winning 98 games this year. Oh, and they still have the best player in baseball flanked by a ridiculous amount of offensive firepower. And they led baseball in runs scored this year after placing in the top 10 the prior couple of seasons. Really, there’s quite a bit of good news. There’s no reason to expect the bats to disappear in 2015 and if LA can get Josh Hamilton’s health and breaking ball issues sorted out, they have the potential to be even more explosive. Where this team really stands a chance to gain some ground is in the starting pitching department. The staff’s best pitcher, Garrett Richards, will be coming back from a gruesome knee injury and if he can make a full recovery, that’s a big bonus. Jered Weaver no longer has the ability to carry a starting rotation and highly compensated #2 starter C.J. Wilson pitched so poorly this season that he’s lucky to still have a job. The hope is that young pitchers like Hector Santiago, Matt Shoemaker, and others can make a jump next year. Shoemaker came out of nowhere and basically pulled the Angels’ bacon out of the fire, posting a 3.04 ERA in 136 innings. I don’t think Los Angeles should count on getting that kind of performance again, especially if you look at Shoemaker’s minor league numbers. The two seasons prior at Triple-A Salt Lake he managed to post an ERA just north of 5.00. Relying on him as anything more than back of the rotation help would probably be a mistake. Instead the Angels should take a look through the bargain bin to see what might be available. Aaron Harang and Ryan Vogelsong should both be available for less than $8 million next year which would be well within Los Angeles’ budget. Either option would offer some quality bottom-of-the-rotation depth that the Angels desperately need. Ground ball maestro Justin Masterson could also be a solid bounce-back candidate after struggling through a rough season in St. Louis. If he can get his control problems corrected (Masterson walked a career-high 4.8 batters per 9), Los Angeles has quality defense up the middle of the diamond which could he use to his advantage.